The custom memorial bench is a beautiful way to recognize those that have passed. 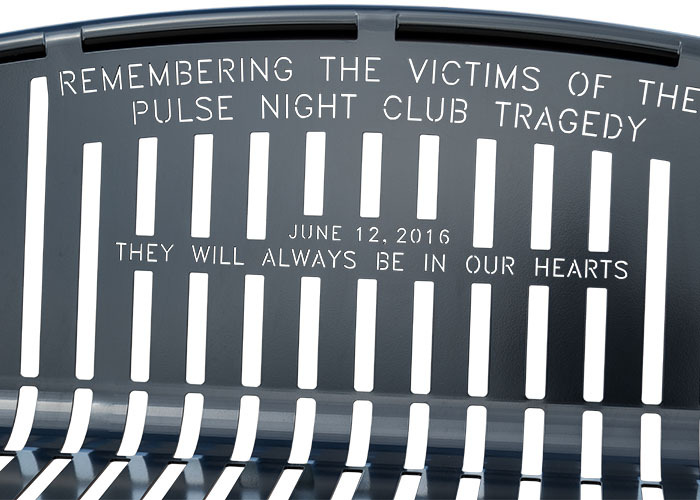 This bench was designed to honor the victims of the Pulse Night Club Shooting. 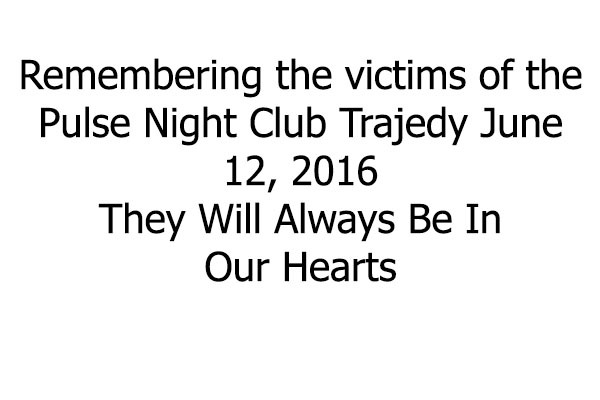 When tragedy strikes, it’s always beautiful to see how the community comes together. We feel so honored to have had the privilege to make this bench for the state of Florida. 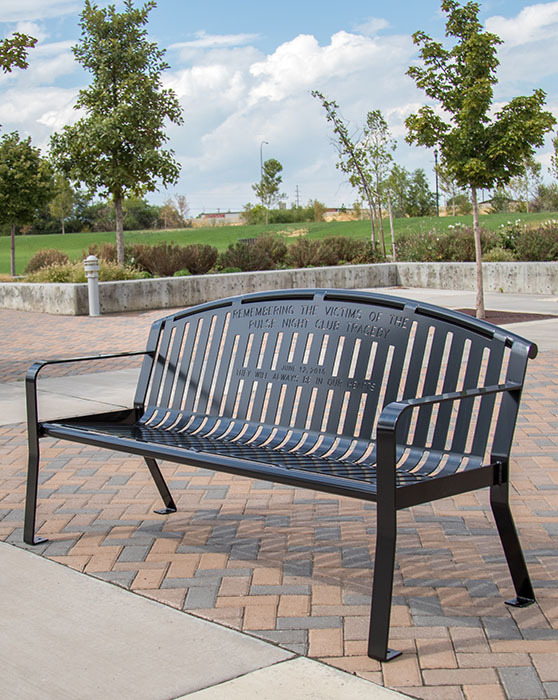 To get started on your memorial bench, give us a call at (801) 414-1724 or click the button below. When ordering, be sure to email us your design ideas. This can be an AI or PSD file, Word Document, or skimple sketches on a notepad. For this custom memorial bench, we were sent the text for the inscription on the back and worked with them on placement. Once our team feels the design is ready, a proof will be emailed to you. This will give you a chance to go over the bench and make any modifications that you would like. 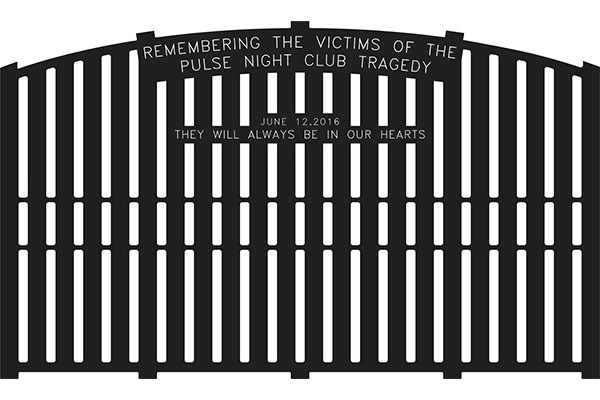 After we have been given the go ahead, the design will be sent to the laser cutter. The body of the bench is cut from a single sheet of metal. This allows for fewer welds that gives the bench less points of weakness. The memorial bench is then bent into shape and legs and arms are added. Powder coat is then applied for a weatherproof finish. Custom memorial benches are a designed to honor the lives of those that have passed. The bench is a place where friends and family can go to remember their loved ones, mourn, and tell stories. It keeps their memory alive, for those who knew the victims and those who did not. Give us a call at (801) 414-1724 to get started on your memorial bench. 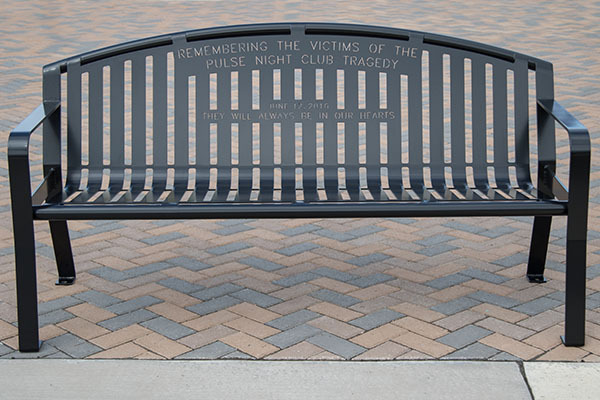 At Smith Steelworks, we strive to provide the highest quality memorial benches on the market. Our metal site furniture has been tested to withstand everyday use, all types of weather conditions, and more. We have been in the site furniture business for along time so we understand the importance of durable, long-lasting benches. For more information, call (801) 414-1724 or click the button below. Powder is applied to the custom memorial bench and baked at 400 degrees Fahrenheit. This process gives the bench lustrous and excellent protection. The coating is twice as thick as average paint and is resistant to chips and scratches. Select a powder coat color here.